Klass Capital, a private equity firm that invests in enterprise software companies, is relocating to MaRS Discovery District. The firm selected MaRS as its new home to take advantage of the centre’s technology community, networking events and innovation expertise. Klass’ enterprise software investment focus fits with MaRS’ clusters, particularly within Financial Technology and Work & Learning. Klass plans to build out its operational expertise at MaRS by expanding its talent program, which has placed over 100 people in Klass portfolio companies since 2013, as well as by developing its public relations capability. – Salim Teja, Executive-Vice President of MaRS Ventures. – Daniel Klass, Managing Partner of Klass Capital. 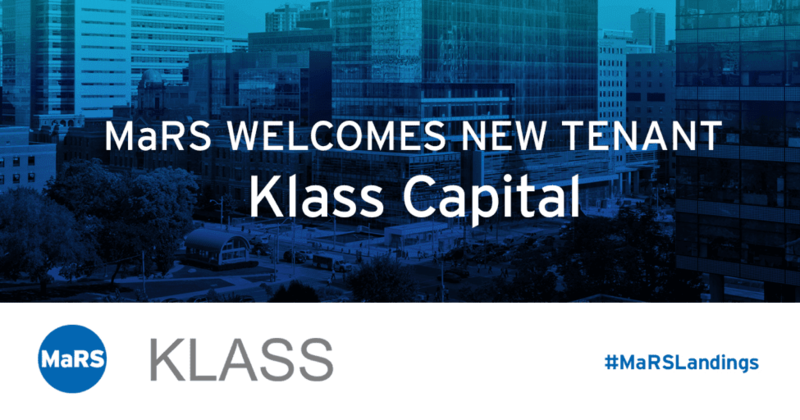 Klass Capital is a Toronto-based private equity firm that acquires and provides growth capital to mission-critical enterprise software businesses. The firm invests between $2–20 million of equity in businesses that have achieved over $1 million in sales. Klass has $150 million of permanent capital to invest and plans to deploy approximately $20–40 million per year over the next five years. Klass moves quickly, has a collaborative approach and strongly believes in adding value to its partners. Klass has built a portfolio of 16 high-growth enterprise software businesses.